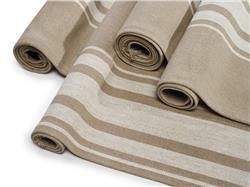 100% linen area rug, named after the East African country of Tanzania. This new rug design is a classic in every sense. Works perfectly in living, rooms, bedrooms, guest rooms, library rooms and every other room in between.